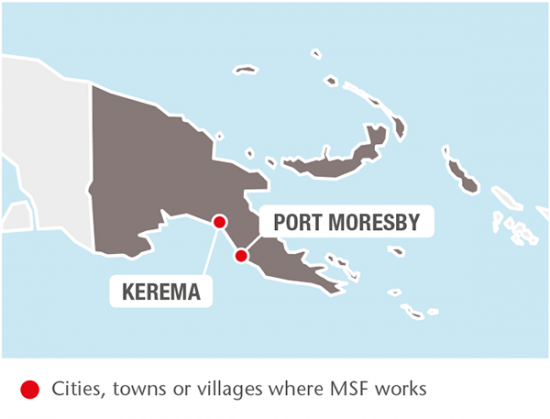 In Papua New Guinea in 2017, MSF focused on expanding access to care and improving adherence to treatment for patients with tuberculosis (TB). With some 836 dialects spoken, around 12 percent of all the world’s languages can be found in Papua New Guinea (PNG). North of Australia, the country of more than 6.5 million people is located on the eastern end of the world's second largest island. Despite its idyllic setting, PNG has some of the worst rates of domestic, sexual and gender-based violence in the world. It also has one of the highest rates of HIV/AIDS in the Pacific region. Médecins Sans Frontières/Doctors Without Borders (MSF) first worked in PNG in 1992. The country is prone to tidal waves, volcanic eruptions and earthquakes, to which we have responded, as well as the high rates of tuberculosis (TB), HIV/AIDS and sexual violence. TB was declared a major public health emergency in Papua New Guinea, with almost 30,000 new cases in 2016. It is the fourth biggest cause of death in hospital admissions, and the principal cause of mortality among HIV/AIDS patients. 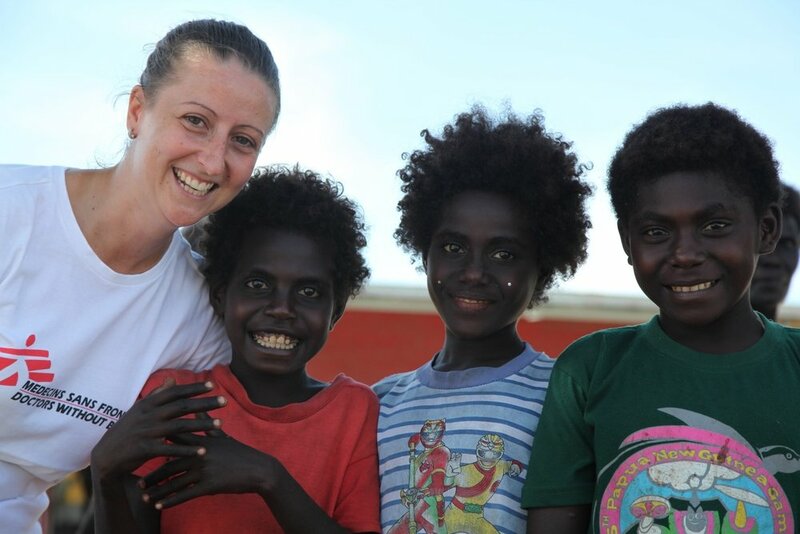 MSF Midwife Elizabeth Milroy enjoys some time out with some local kids in Papua New Guinea. In collaboration with the national TB programme, MSF focuses on improving screening, diagnosis, treatment initiation and follow-up at Gerehu hospital, in the capital Port Moresby. Mobile teams also work in the community to improve patient adherence to treatment. In Gulf province, MSF expanded its TB programme to support two health centres as well as Kerema general hospital. Difficult access to remote areas and the lack of an effective follow-up system result in a high number of patients not completing their treatment. In collaboration with the provincial authorities, MSF continues to develop a decentralised model of care facilitating access to diagnosis, treatment and follow-up closer to patients’ homes. In 2017, MSF initiated treatment for more than 2,100 patients with drug-sensitive TB, and 53 with drug-resistant TB.